Repose Furniture,specialist in mobility and Rise Reclining Chairs. Repose Furniture. 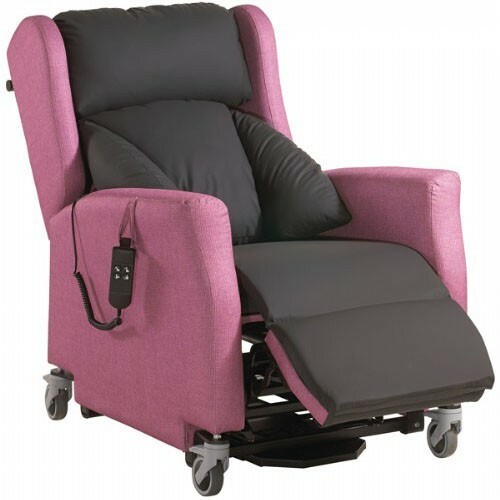 Manufacturers of Mobility Chairs and Electric Rise and Reclining Chairs. Repose Furniture are manufacturers of Riser Recliners, sometimes referred to as Lift and Tilt Recliners. They provide specialist solutions for the Health Care market. 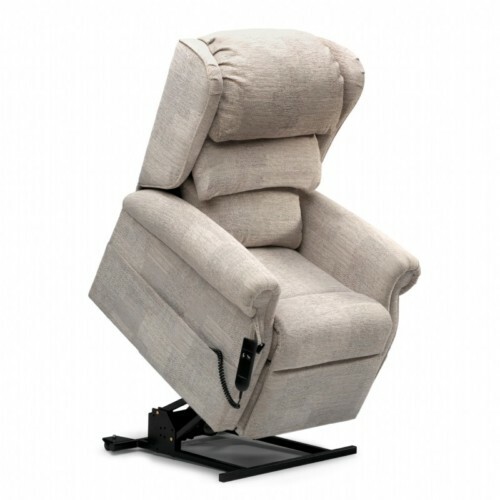 The full range is available here at Ribble Valley Recliners. Repose furniture are a family run business experienced in manufacturing mobility and specialist rise and recliners with complimentary furniture. Their expertise has expanded into the healthcare market manufacturing a wide range of bespoke riser recliners using a variety of mechanisms. Traditional, modern and contemporary models are British made by fully trained craftsmen. They ensure quality without compromise. Fabric, specialist upholstery & Leather collections of Repose recliners and recliner suites offer more choice than ever before. We at Ribble Valley Recliners stock a full range of the Repose Furniture. We are proud to work with this ‘Made in Britain’ company. We offer a no obligation FITTING SERVICE in the privacy of your your own home, if you cannot travel to our showroom. Please ring to for information or have a look at our Home Demonstration page. Full range seen below is available. Immediate delivery can be made on our ‘In Stock’ models. We have chairs in stock of a range of sizes, different actions, Home Comfort upholstery or Healthcare chairs using specialist fabrics. Please ring for any advice. The Repose Home Comfort range includes the Repose Rimini Classic, Repose Rimini Deluxe, Repose Rimini Express chairs, Repose Chepstow, Repose Henley, Repose Kensington, Repose Olympia, Repose Marbella, Repose Westbury, Repose Berkshire, Repose Mayfair, Repose Chatham, Repose Kingston, Repose Chatsworth and the Repose Barcelona. To Compliment the range we have the Fireside chairs with wooden legs in the Rimini, Marbella and Westbury. Matching range of chair, 2str and 3str fixed and reclining sofa’s also available. Optional extras include pocket sprung cushions, memory foam, head covers, seat covers, arm caps, heat and massage. The Healthcare range includes the Repose Multi C-air, Repose Multi Bari, Repose Multi Flex, Repose Multi Tilt, Repose C-air, Repose Flexi Porter, Repose Broadway, Repose Boston, Repose Brooklyn, Repose Harlem Porter, Repose Madison, Repose Melrose, Repose Windsor, Repose Bariatric, Repose Banbury High Seat and the Repose Stargazer. Please ring 01254 399400 for a demonstration in the comfort of your own Home.